Special memories are made each day at Gatebeck. Memories of days spent canoeing the waters of Lakeland. Of time hiking the mountains of the Yorkshire Dales with the family. And of evenings sitting under starlight, seeking out constellations and shooting stars. Gatebeck is your chance to experience a gentler pace of life, one that puts you in touch with nature and that’s free from all those day-to-day obligations. Set in lush, quiet woodland, your luxury lodge features modern conveniences and cosy features. So, whether you’re taking a quick rejuvenating getaway or a month-long escape it feels like a home away from home. Whether you’re itching to climb England’s tallest mountains or just looking for some space to breathe in quiet surroundings, Gatebeck delivers. The Lake District, the Yorkshire Dales and Arnside and Silverdale AONB are just a short drive away. An outdoor lover’s dream. 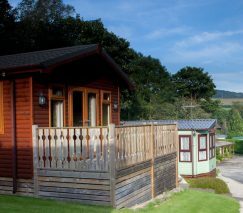 Gatebeck’s an owners-only park, populated by people who share your desire for peaceful relaxation in the countryside. Our outdoor playground keeps the little ones occupied after their day’s adventures. Your lodge features a large outdoor deck – the ideal spot for a quiet drink in the sunshine.